The Unicoi Turnpike ran from the Old Federal Road in Maryville, Tennessee eastward through the Unicoi Mountains, passing through present-day Murphy, North Carolina. From there it turned due south crossing Unicoi Gap, then traveling along, and frequently crossing, the Chattahoochee River. About a mile due west of the lodge the road began a long 75-degree arc towards the headwaters of the Savannah River, ending at the Tugaloo River in the vicinity of another North Georgia State Park, Travelers Rest Historic Site. Boats would then ferry passengers to the cities further south. The early turnpike was entirely in the Cherokee Nation. Land cessions agreed to by the Cherokee brought the entire road in Georgia under the control of the state in 1819. During the Georgia Gold Rush, the Unicoi Turnpike and the Union Turnpike further west played an important role in shipping both raw and minted gold to markets in the North. Gold mining began around the area of the lodge sometime after 1830. A ditch to supply water for hydraulic mining, dug after The Civil War, ran through the area of today’s Unicoi State Park. During the 1930’s, the Civilian Conservation Corps (CCC) built a camp along Smith Creek, north of the site of the present lodge at what today is the bottom of Lake Unicoi. About the same time local businessman and politician Charlie Maloof got the state to build a new highway to Hiawassee (State Road 75) to replace the aging Unicoi Turnpike. One of the first and most famous buildings in the new town of Helen was the Mountain Lodge (actually known under a variety of similar names). For more than 30 years this hotel built a name for quality service and quarters. After the lodge burned in 1945, Maloof began to press the state for help. In 1954 Georgia opened White County Area State Park and Governor Herman Talmadge credited Maloof with being the driving force behind area although it had few facilities and was officially list as “White County Area State Park.” The park was originally 278 acres (not including leased land) and was noted in the 1957 Geological Survey as Unicoi State Park. WHITE County Area is one of our latest State Park additions which has not yet been officially named. The Park is in White County near the towns of Helen and Robertstown and consists of 1800 acres which were leased from the Federal Government for the purpose of building a State Park. This Park is in about the same area as Vogel and recently a Dam and Spillway have been completed which will create a beautiful 49 acre lake. This lake will be stocked with fish and will provide boating, fishing and swimming. Over the years the park has grown dramatically. Renamed in the 1960’s to the unlikely name of Unicoi Outdoor Recreation Experiment Station, when the lodge was completed in 1973 it was called Unicoi Lodge in honor of the turnpike that ran near the park. 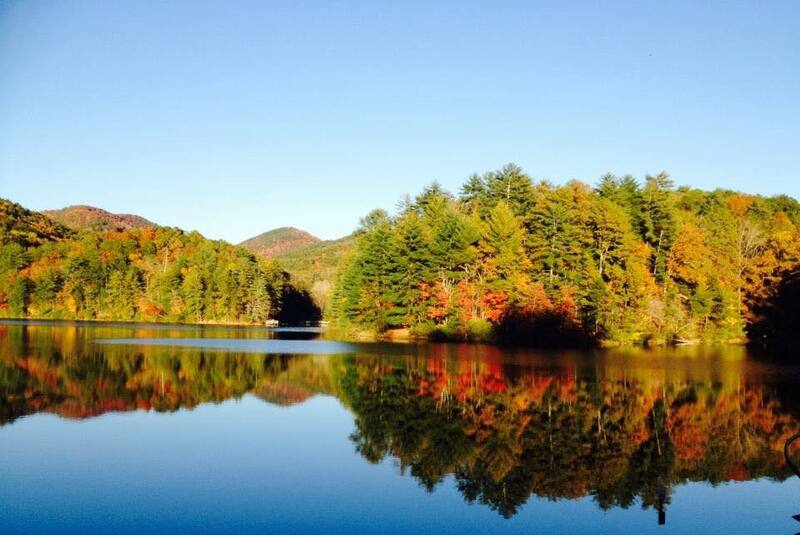 In 1974 the state renamed the park itself to Unicoi State Park, which was already the widely used name for the park. Today Unicoi encompasses more than 2,000 acres of land and is adjacent to the federally-owned 1600 acre Anna Ruby Falls Scenic Area. The hike to Anna Ruby Falls is one of the most popular (and prettiest) in Georgia. Unicoi State Park is a different world where people can get away from it all and experience first hand the beauties and wonders of nature. 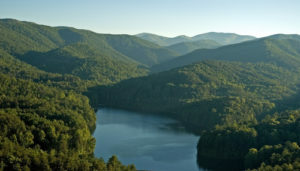 Facilities in the park include a Conference Center and Lodge, which can accommodate up to 200 people, cottages, campsites, and two beaches on a 53-acre man-made Unicoi Lake. Unicoi also provides a year round schedule of programmed activities to round out your enjoyable experience in the mountains of North Georgia. Near the park is the Alpine Helen, once the most popular tourist destination in the North Georgia Mountains. 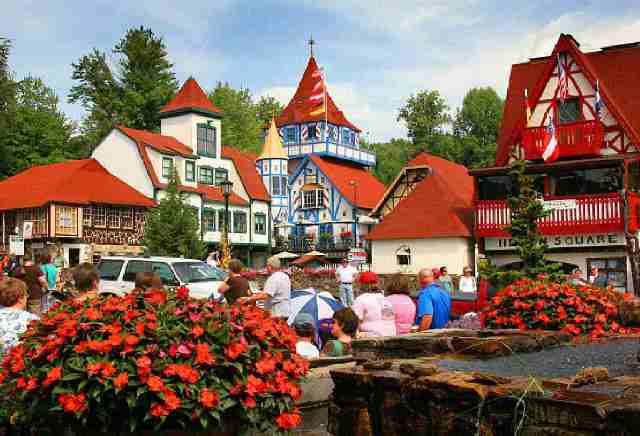 This quaint alpine village is the creation of North Georgia artist John Pollack and local businessmen. One of the traditional Bavarian events held in the city is Oktoberfest, from mid-September to early November. Unicoi is frequently full during this time period, in part because of the festival and in part because of leaf change (Normally the last week in October). Also in the area are hiking trails including Anna Ruby Falls Trail, Smith Creek Trail and the Unicoi to Helen Trail (Access to this trail is from the road to the lodge and the moderate two-mile trail ends in Pete’s Park in “downtown” Helen). The Chattahoochee River north of Helen is an extremely difficult whitewater run that should only be attempted by experienced paddlers, and only in the spring when the runoff makes the river high. Easier tracks can be found south of the city. One popular spot to launch is from Lynch Mountain Road at Sautee Creek. South of the junction with the Hootch is a long, heavily forested stretch that has occasional, mild rapids.